Bio: Ask this Autobot who his greatest enemy is and he won't name a Decepticon. He'll say its boredom. To him, there's simply nothing more entertaining than turning a few Decepticons into a smoldering pile of scrap � and he never misses a chance to pursue his favourite pastime. Few Autobots are more eager to hurl themselves into combat, and fewer still have accomplished more on the field of battle. Roadbuster was a fairly innocuous toy back in the day. One of a number of moulds Hasbro and Takara sourced from other companies to add to the burgeoning ranks of the Transformers back in 1985. Roadbuster and Whirl both originated in the defunct and long forgotten Dorvack line, and in common with a lot of 'sourced' Transformers toys, were stylistically different from Takara's own offerings that made up the bulk of the Transformers line. The figures' licensed nature meant they were largely ignored, with only Jetfire/ Skyfire being the notable exception. Until Simon Furman came along, that is. 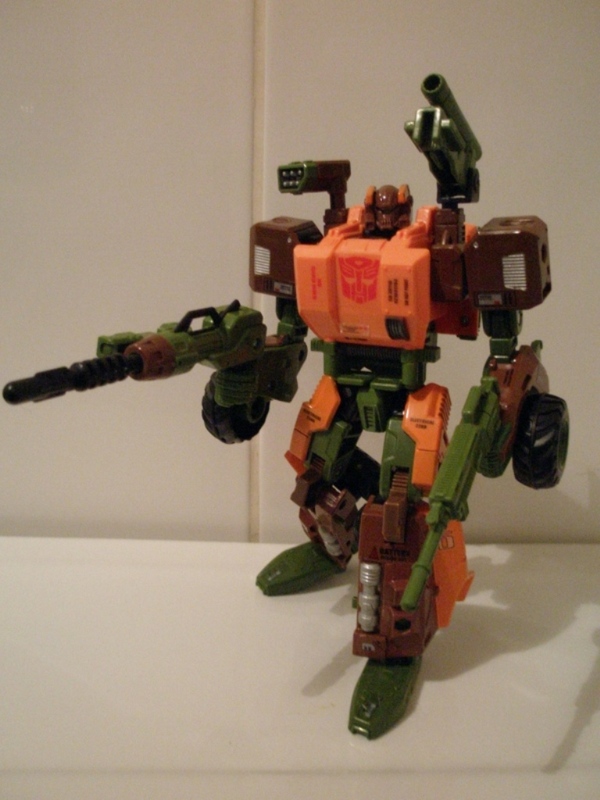 He ensured Roadbuster lasting infamy by making him part of the starting line up of The Wreckers, the elite Autobot brawlers sent on all the difficult missions. 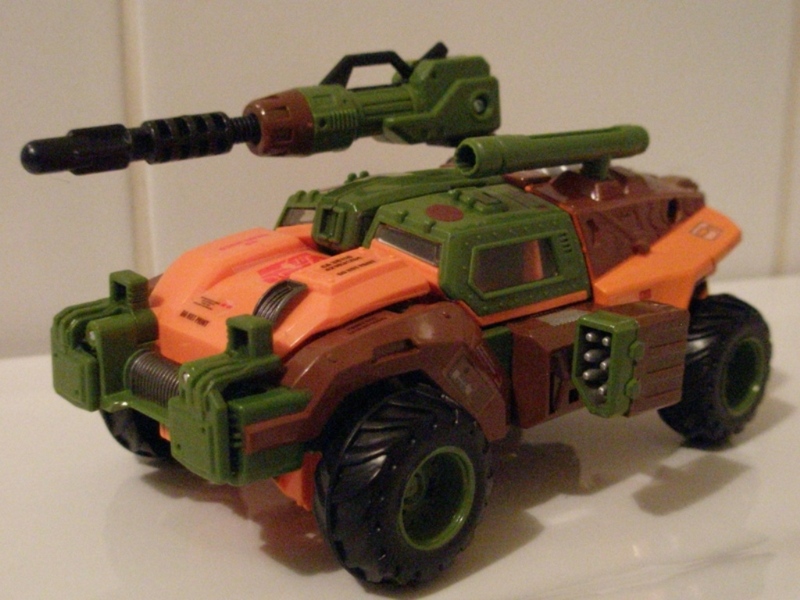 Roadbuster hasn't said or done much in the 20 odd years since his debut in Target: 2006, which somehow suits his rather taciturn and blunt personality, but has ensured he's always there in any iteration of The Wreckers, looming at the back, bristling with guns. 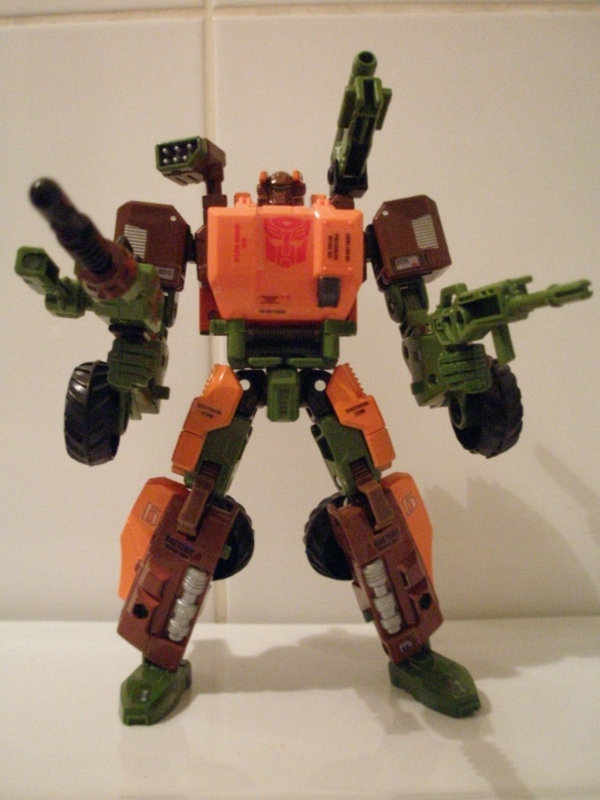 Along with a bunch of other Transformers, Roadbuster was never made available in the UK in his original form, being one of those strange exotic toys that only the US seemed to get. This made him of instant appeal to me, and I've wanted to own him since forever. Needless to say, as a minor character and something of a cult, tracking down a complete original toy these days is an expensive do, so he's just stayed on my wish list. Then Generations happened and we got not one, but two actual proper Roadbuster toys (after years and years of name appropriations on a load of mixed-bag repaints). The first one was a recolour and minor retool of the frankly awful Fall Of Cybertron Swindle toy � in the wrong colours, no less. So, no, not good enough. Try again, Hasbro. Frankly, I was surprised they did, but having updated Whirl, perhaps its no surprise that Roadbuster followed on. So! Rejoice, ye multitudes, now you too can own the childhood favourite you never knew you had...but is he any good? Robot Mode: The humanoid form is almost a straight update of the original toy. He has these nice boxy shoulders, a great head sculpt -which is all emotionless robot death-skull � these toned looking arms and some tough looking armoured, er, thighs. Sadly, the rest of his legs is where it all goes a bit wrong. The lower legs and shins are these hollow planks with two pankcake flat feet dangling off them like he's wearing half mast trousers and he has these ruddy great wheels which just get in the way. He also feels very light, which isn't what I was expecting from a great big clanking shooting tank of robot like Roadbuster. Probably shouldn't have come as a surprise these days, but I do miss the denser, tougher plastics of ten years ago. These honey-combed gap toothed robots of today really don't do it for me. He looks alright, but I dunno, there's just something off about him. Still, at least he has some nice painted sections. Alternate Mode: Now this is more like it! That lanky great robot packs away into this tough little off road combat vehicle. He has monster-truck like proportions thanks to the epic ground clearance he has with those great big wheels (which evoke the same feelings in me as those farm vehicles on the original Postman Pat animated show). It is a huge improvement over whatever the original toy was supposed to be, giving him a fearsome vehicle mode to match his blocky robot mode. And it rolls really nicely � something which is awesome as a lot of vehicular Transformers of late haven't had great play value in car mode. I do end up wondering if the vehicle mode was the starting point for Roadbuster � it would explain why parts of the robot mode feel a bit compromised and lacking.